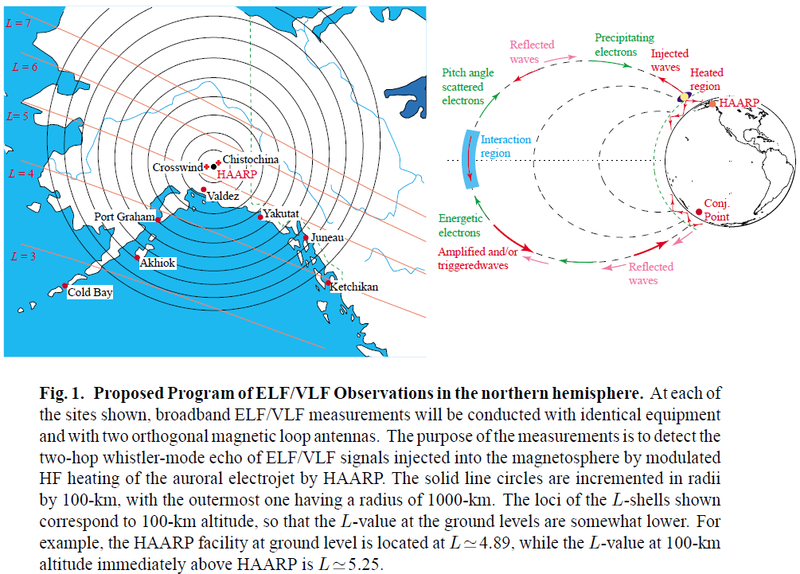 A three year research program is proposed to establish an array of wideband ELF/VLF receivers and to conduct continuous measurements of the magnetospheric response to the injection of ELF/VLF waves using the HAARP HF heater. 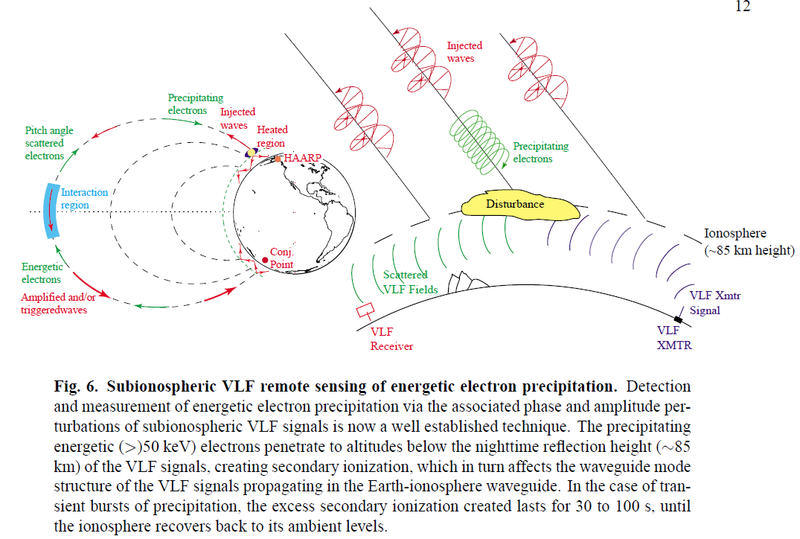 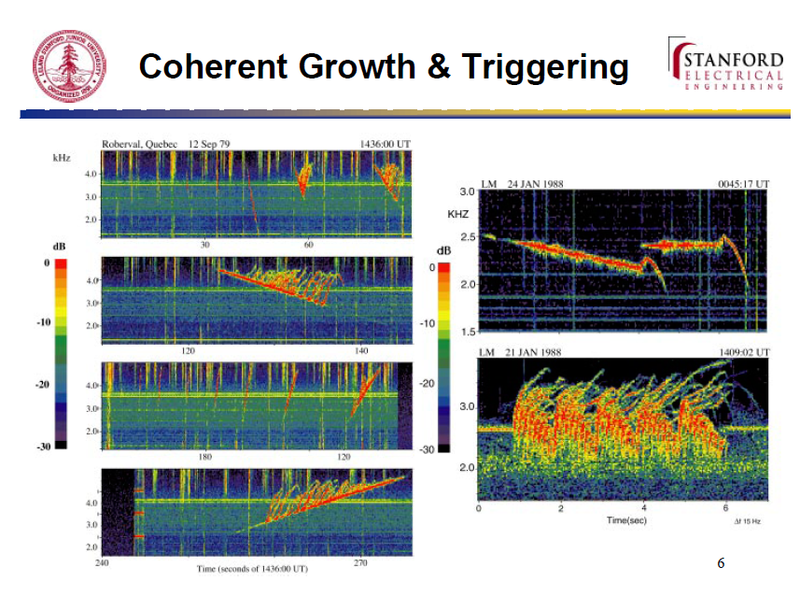 The primary objective of the proposed program is to detect the so-called ‘one-hop’ direct and the ‘two-hop’ whistler-mode echo of a HAARP-injected ELF/VLF signal, and to study the characteristics of these signals to determine the degree to which injected ELF/VLF signals are amplified by the magnetospheric plasma, leading to the triggering of new emissions and enhanced precipitation of energetic electrons from the radiation belts. 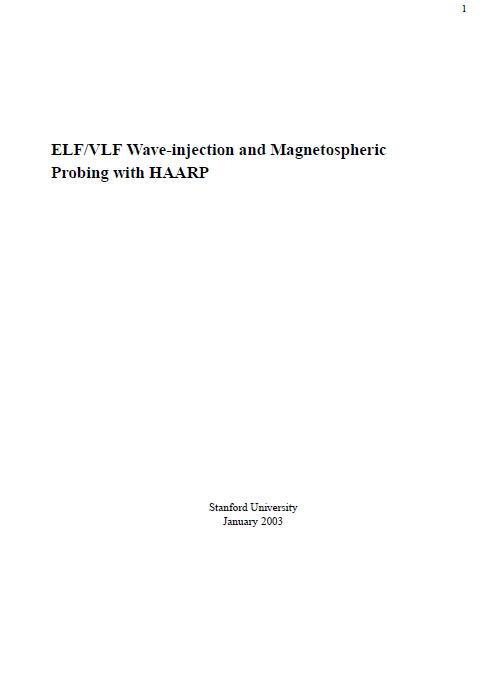 The scientific opportunities, background and justification for ELF/VLF wave-injection and magnetospheric probing experiments with HAARP are provided in Attachment A, which is a copy of a detailed report prepared earlier (April 2001) by Stanford for preliminary ELF/VLF wave-injection campaigns conducted under the auspices of the Polar Aeronomy and Radio Science (PARS) program.